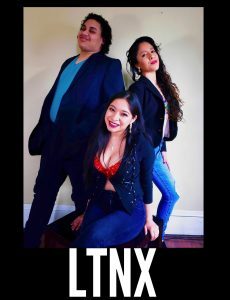 LTNX is a local vocal dance group joined with various local Latinx performers from RI. The main focus is to embrace and sing Latinx communities greatest hits from Selena Quintanilla’s “Como La Flor” to Gloria Estafan’s “Conga.” LTNX’s singers and performers have performed with local mariachi bands, in RI’s best musicals and even at your prima’s (cousin’s) quincenera. We are joining forces to unleash the Latinx heat!